This month find out what the PONY Mag team got up to when they visited Pippa Funnell's yard, also learn how to get the perfect halt in your dressage test as well as jump a flawless round! WIN a day out at the Donkey Sanctuary and tonnes of other fab prizes, enter from the App, easy! 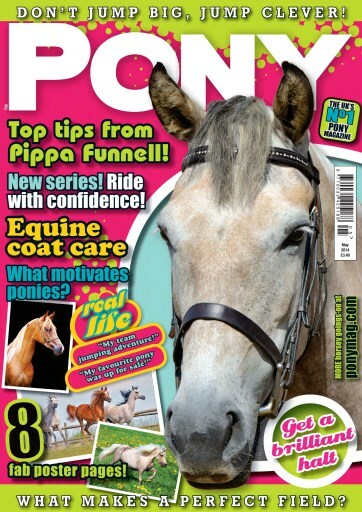 Also read our readers real life drama, and learn to ride with confidence, only in May PONY!